Blues-punk-rock outfit Johnny & the Bootlegs recently released their EP NYC Rags. This collection blends a perfect mix of gritty rock n’ roll, heartfelt-blues, and a dash of punk to taste, the band barrels their way through the urban jungle of NYC, with equal parts of debauchery and genuine reflection in tow. 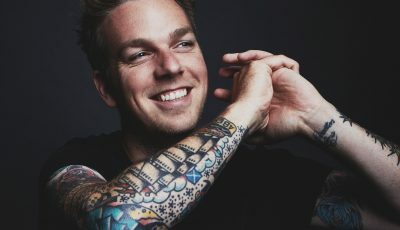 NYC Rags comes as the band’s second release, and a follow-up to their full length self-titled album, which was released last summer. “With the addition of Ryan Adams on drums, the sound is transforming a bit to expand our blues and rock repertoire,” commented Santiago. “Our first album was entirely with Danny Kenny, who has taken more of a songwriting/arrangement role, in addition to management duties. In addition, Erik has contributed more to the backing vocals and has switched to Modelo Especial… and I’ve recently become obsessed with J. Cole.” NYC Rags was recorded at Studio G in Brooklyn, NY by engineer Jeff Berner (Psychic TV, Chris Cubeta and the Liars Club, NAAM, Heliotropes) through the summer and fall of 2017. 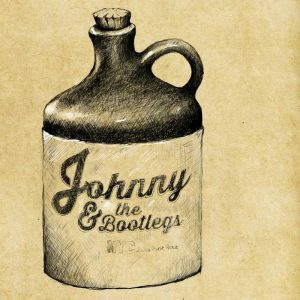 With upcoming NYC dates, and a northeast U.S. tour coming this fall, Johnny & the Bootlegs bring plenty of style and swagger to the stage. 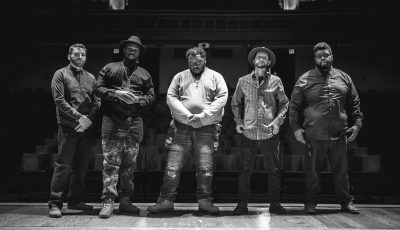 Nominated by NJ’s The Aquarian as one of the “Top 30 NYC Bands to Catch Live in 2018,” the band strives to bring good times for all. “It’s a blues show, it’s a punk rock show and it’s also straight ahead rock n’ roll. There is a rawness and a realness that is evident in our playing and performing – you’ll most likely shake your head and grab a beer.” Follow the band on social media for upcoming show announcements. NYC Rags is available for stream and purchase now on Spotify, Apple Music, Bandcamp and all major digital retailers today. Thanks for your time! So what do you all think is this summer’s big break-out song or artist?? Hey, Johnny here so I’ll respond in first person 🙂 Not sure if we can really say in terms of “break out”, but “Claw Machine Wizard” by Left Lane Cruiser is a killer track that’s been on repeat, for certain. How has 2018 been treating you all? What is one musical goal that you have had for this year and how close are you to reaching it? A musical goal we’ve had is to record a live EP, which we just completed at Silvana’s in Harlem. We performed at the end of June and the EP shows the bluesy side of my strong Freddie King influence. We should be ready to release it in fall’18. We’re still working diligently on getting on tour and reaching a broader audience but it’s proving more time consuming and difficult than hoped for. Can you recall the moment when you thought you could be in this group together? Has anything surprised you about it all so far? The first time that we three original members (John, Erik & Danny) played together, we knew that we had something special. We would immediately work off the jam and create something special. It was a lot of fun, which really pointed us in the best direction possible. 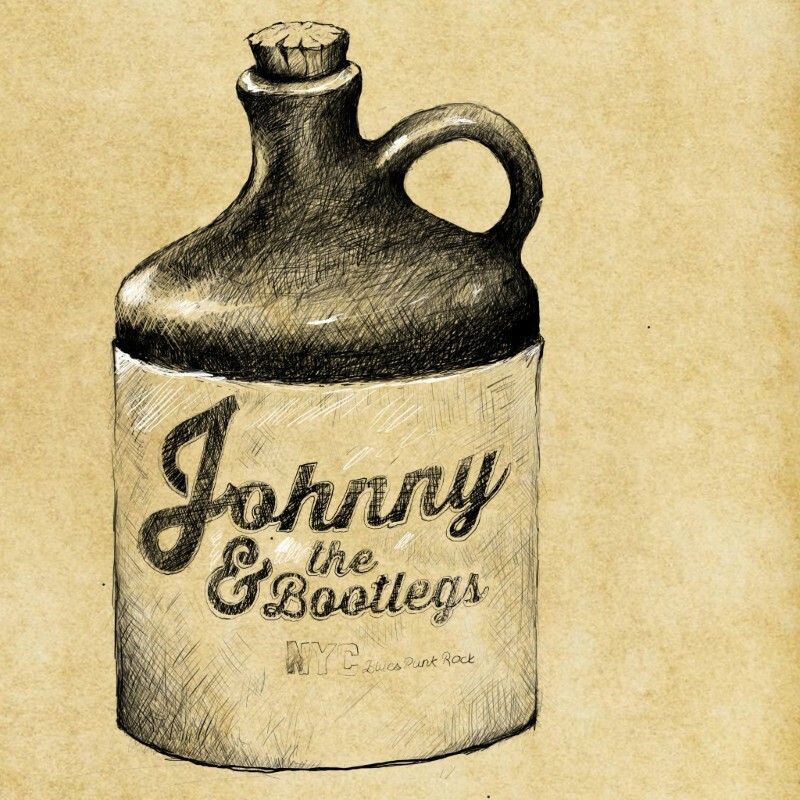 How difficult was it to come up with your band name, Johnny & the Bootlegs? What other names were you considering? How do you think NYC has influenced the sound and how you all carry yourselves in this group? Tremendously. We feel like we are the music and the music is us. NYC has tremendously influenced me, from personal to philosophical to professional life, and it comes through in a lot of my songwriting. Let’s talk about your newest music. What was it like putting together you newest EP, NYC Rags? Did anything surprise you about that overall process? We took some songs that had been born from jams between Ryan Adams (drummer on most of the EP) and I as well as a couple of songs I had written acoustic and just embellished them fully. We did everything as a live take for basic tracking, except for “Hesitant”, which was done track-by-track. That was the first time we chose to do something one piece at a time and it came out really beautifully, capturing the vibe of solemn, heartbroken, hesitation. While it’s difficult, can you pick out a couple of your favorite tracks off this EP? How were they inspired and how did they get to me a part of this collection? More specifically, how did your single “NYC Woman” come together? “NYC Woman” is a song that I wrote some years back when I had first moved to NYC. It represents a lot for me in terms of how I’ve changed my perceptions of life and love due to living in a big city with wild personalities and strong independence but also still have the same core nature. The bridge is a juxtaposition of sorts, which I think is the most honest and telling part of the song. (for John) How does the music of this group compare to your solo material? This is the fun and playful side of my artistry. This is where I get to accept and understand the ideas of others and fit it all together as a group. My solo stuff is incredibly personal and raw, because it’s not really up for much discussion, haha. Johnny, I would love to know more about your experiences as the General Manager of Webster Hall. What kinds of duties did you have there in that position? How do you think this job has helped you be a better artist today? What do you miss the most about that role specifically? That was a great 6 years of my life!! At some point or another I handled just about anything that you could think of operationally, speaking. My main duties by the end were overseeing that the people in their positions were fulfilling their roles and making sure that we were keeping the business efficient, yet safe. Working with people is the thing I miss most. The customers and the staff were all incredible people with a unique blend of personalities. It really stretched my perception of the world around me and how to stay with my feet on the ground, despite many chaotic and unstable elements always being present, haha. If you had all the money and time in the world, what song from this EP would you make a video for? What would it entail? We would make a video for “NYC Woman” and basically have it include some of our favorite NYC people. It would have a late night show sort of theme but I don’t want to give away too much. We have a great idea for it and are currently trying to bring it to fruition. Well, for my solo stuff, it’s in the studio. For J&tB, it’s on stage. We are excited to have hosted our first annual Bootleg BBQ in Ridgewood (NYC) with a ton of great musicians on two stages. Watch out for next years edition! We play a great new spot called Hart Bar in Bushwick on Saturday, August 11th and then at Buckley’s on Long Island on August 25th. I grew up on Long Island, so excited to be getting back there with the band. Being able to perform for people. It’s a lot of work and sometimes takes more than people realize but when people are there and it’s good, it’s AMAZING! Ya know, we haven’t gotten political. It’s really not the nature of the band. We are a beer drinking, good time band. A time for escape from the doldrums of daily living and every day we are pummeled with propaganda and evidence of corruption. It’s really horrible but we all need something to be a little light-hearted and smiling about, so that’s kind’ve where we come in. I’d suppose a few of our somewhat slower tunes could be interpreted as political statements but they’re really more about love and emotions. People have a lot of that in connection with our political climate, these days, so it works in some sense. Other bands do it, but we aren’t other bands or musicians, so we don’t really concern ourselves with what they’re doing too much, lol. How important do you think social media has been to this band? Do all you help to maintain all your sites or is one of you more into it all? Or do you rely on your PR/management team to handle it? In terms of the JSantiMusic operation, it’s majority myself handling all socials, website and communications. Danny is an amazing digital designer and so is Ryan, so they will grab some of that responsibility off of my back much of the time (mainly because they know they’re better than I am at it, haha) but for the most part, I handle our business affairs at this juncture. I’m super picky but would love to meet some great people to work with on this stuff. We work with Behind The Curtains Media for PR and they’ve been tremendously attentive and helpful. 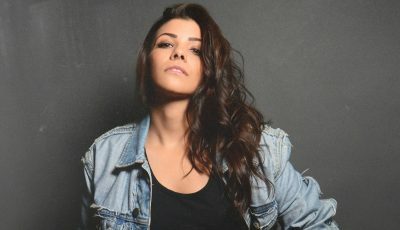 We would love to work with a larger label, with JSantiMusic as a subsidiary, to really get more momentum for touring and linking with their other artists. We love Left Lane Cruiser, JD McPherson, Gary Clark Jr, Jesse Malin and plenty of others. It would be great to collaborate with any of those names and we are pretty open to working with new people. I’d want my guitar, no doubt. We hope people remember that life is fleeting and to enjoy the moment that they’re in. Don’t get so caught up in the past or the future, but instead do as our song RIDE says and just “ride the wave”. Where can our readers connect with this group? Anytime they want!!!! Just check out our website (johnnyandthebootlegs.com) and shoot us an email 🙂 We’re on Facebook, Instagram, Spotify and all that too. An Interview With the Most-Synced Woman In The Music Biz, AMY STROUP!